Our Chalvington range oak panelled settle, of plain and simple design. 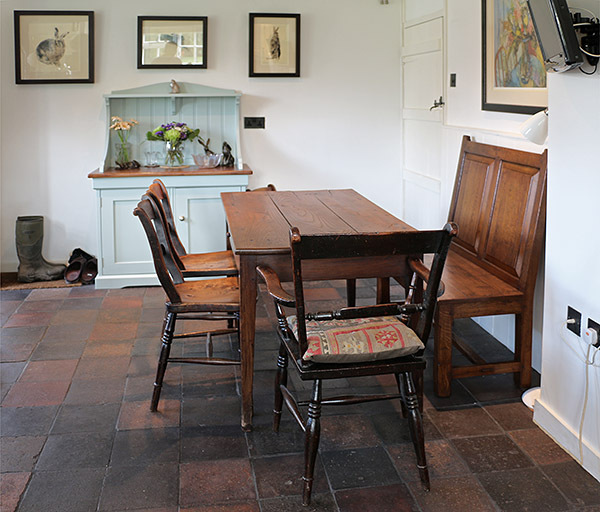 Shown here, with a pleasing mix of antique chairs and table, in the dining room of our clients period Sussex village cottage. With a raked back for comfort, they also intend having an upholstered cushion made for the seat. As is often the case, our clients gave up searching for a suitable old piece of furniture, of exact dimensions etc., so approached us to make them a perfectly sized authentic bespoke piece.